LEGO Juniors is designed for first timers. In an instant, your child will discover how easy it is to build with LEGO bricks, and in the process you will teach them succeeding is fun, spurring them on to build their self-confidence. The theme has been designed to get your child off to the right start with LEGO building, and play sets draw on everyday scenes, with models including diggers and police stations, as well as imaginary ones, featuring superheroes and princesses. Some sets also feature a handy Brick Box for storage. LEGO Juniors is the perfect way to introduce your child to the world of LEGO building. 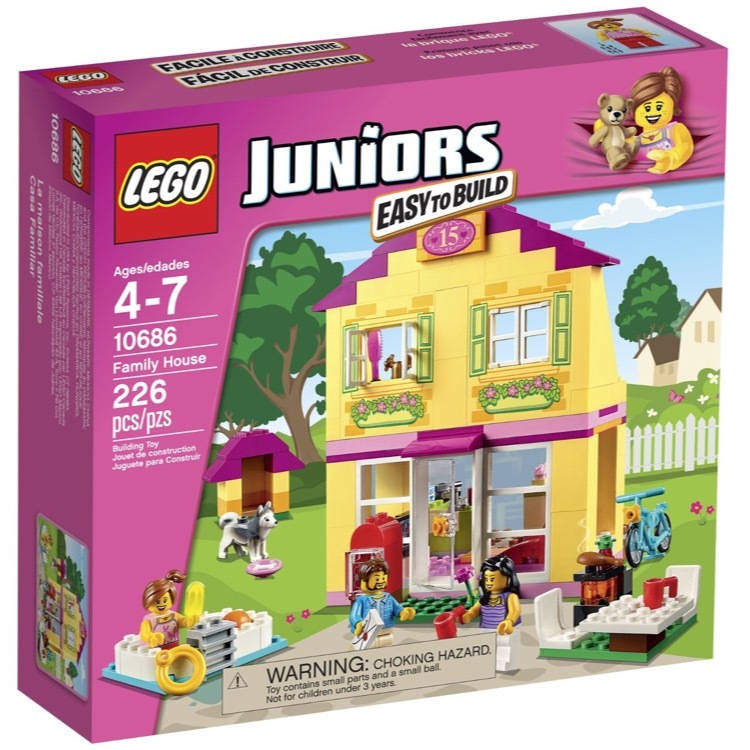 This is a BRAND NEW set of LEGO® Juniors 10686 Family House from 2015. This set is still factory sealed and the box is in very good condition with minor shelf wear. 226 pieces and 3 minifigures©. 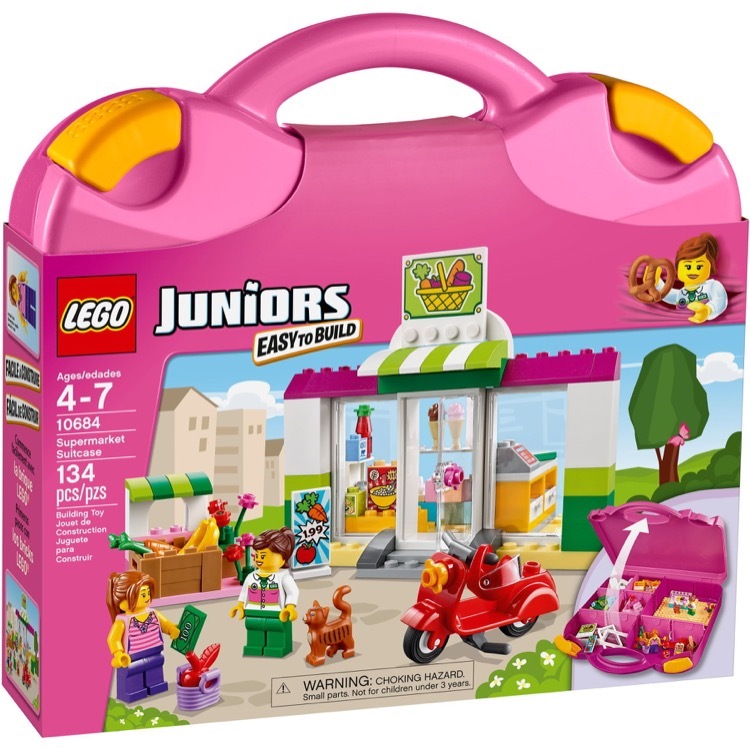 This is a BRAND NEW set of LEGO® Juniors 10684 Supermarket Suitcase from 2015. This set is still factory sealed and the box is in very good condition with minor shelf wear. 134 pieces and 2 minifigures©. 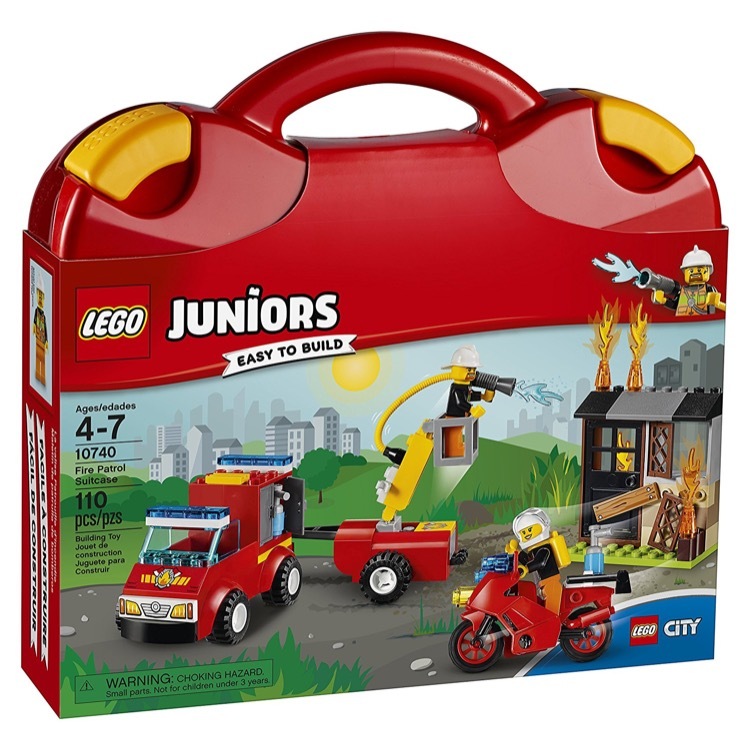 This is a BRAND NEW set of LEGO® Juniors 10685 Fire Suitcase from 2015. This set is still factory sealed and the box is in very good condition with minor shelf wear. 113 pieces and 2 minifigures©. 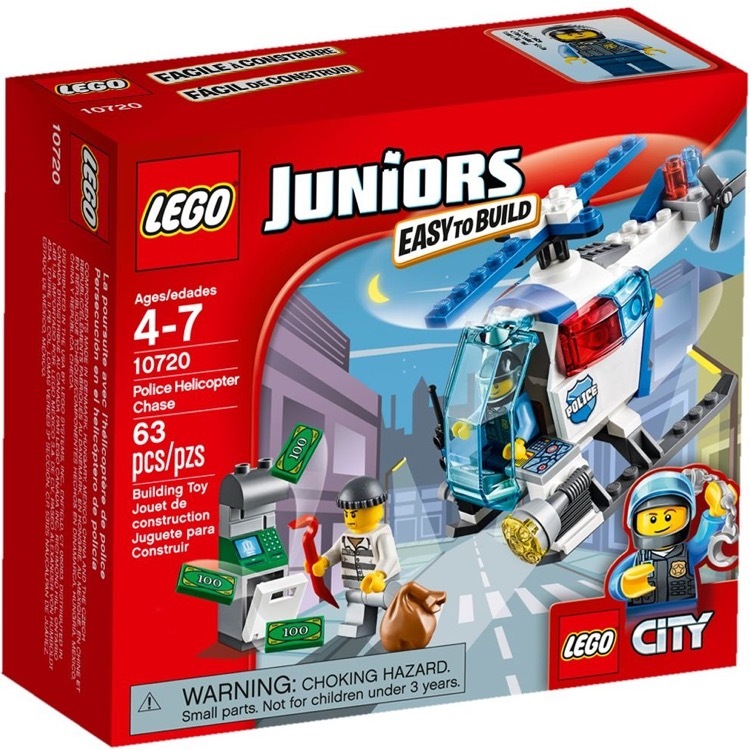 This is a BRAND NEW set of LEGO® Juniors 10720 Police Helicopter Chase from 2016. This set is still factory sealed and the box is in very good condition with minor shelf wear. 63 pieces and 2 minifigures©. 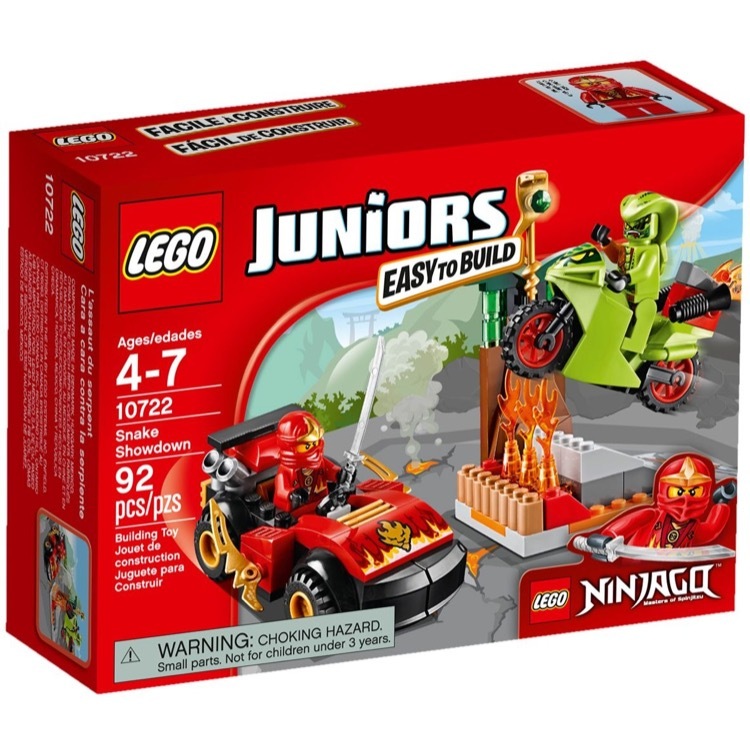 This is a BRAND NEW set of LEGO® Juniors 10722 Snake Showdown from 2016. This set is still factory sealed and the box is in very good condition with minor shelf wear. 92 pieces and 2 minifigures©. 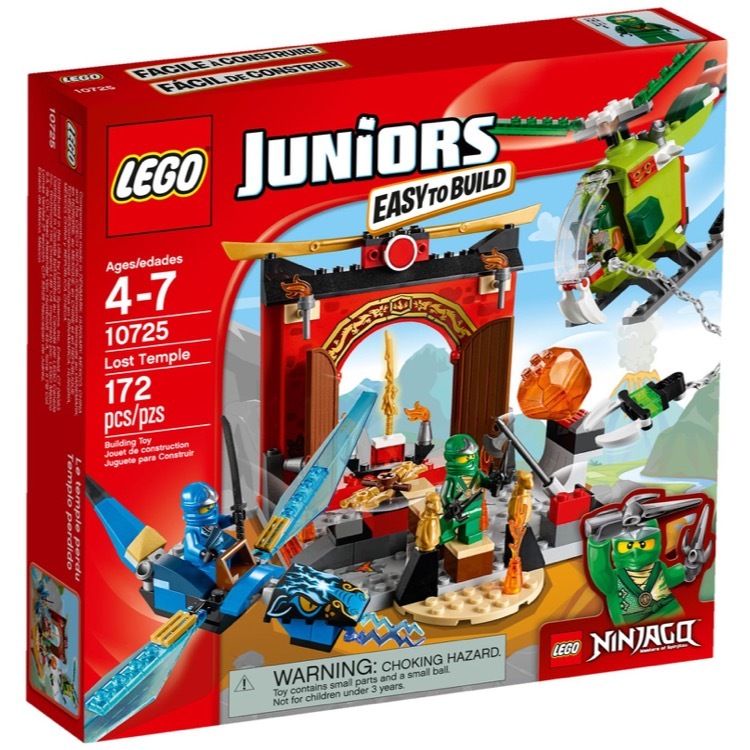 This is a BRAND NEW set of LEGO® Juniors 10725 Lost Temple from 2016. This set is still factory sealed and the box is in very good condition with minor shelf wear. 172 pieces and 3 minifigures©. 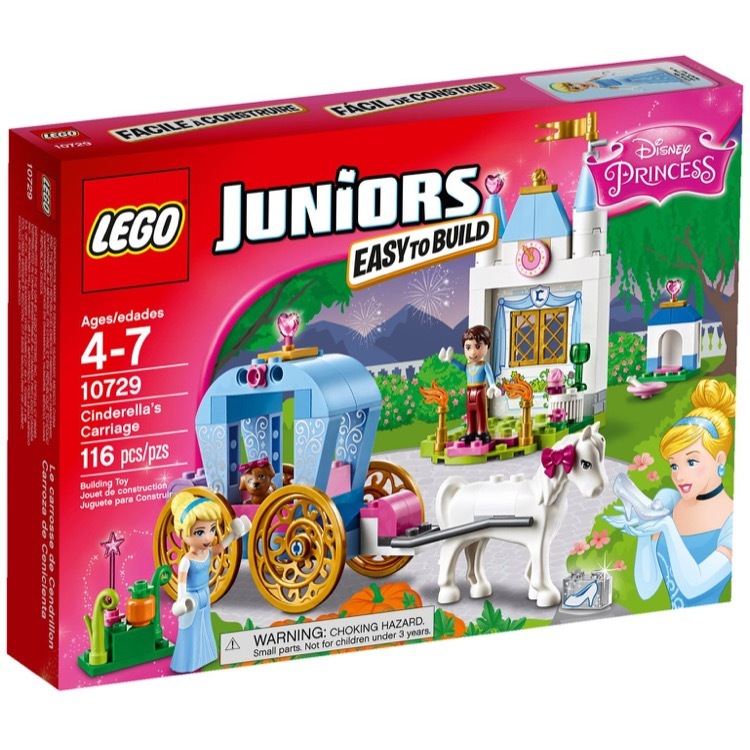 This is a BRAND NEW set of LEGO® Juniors 10729 Cinderella's Carriage from 2016. This set is still factory sealed and the box is in very good condition with minor shelf wear. 116 pieces and 2 minifigures©. 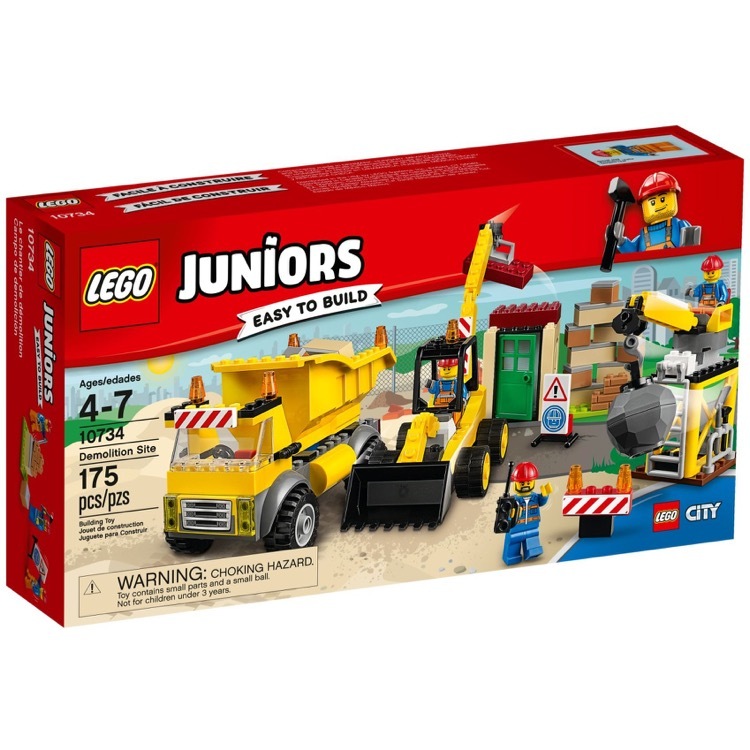 This is a BRAND NEW set of LEGO® Juniors 10734 Demolition Site from 2017. This set is still factory sealed and the box is in very good condition with minor shelf wear. 175 pieces and 3 minifigures©. 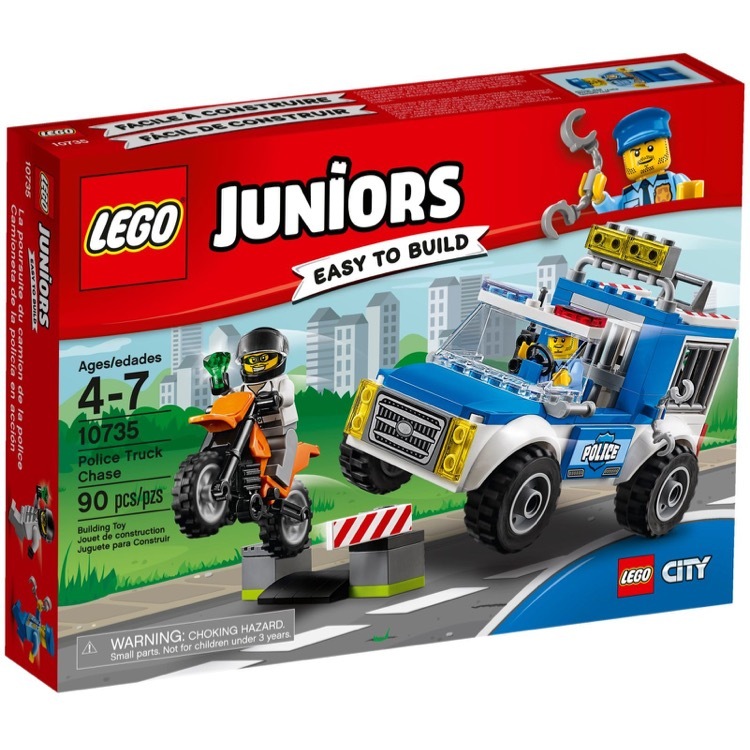 This is a BRAND NEW set of LEGO® Juniors 10735 Police Truck Chase from 2017. This set is still factory sealed and the box is in very good condition with minor shelf wear. 90 pieces and 2 minifigures©. 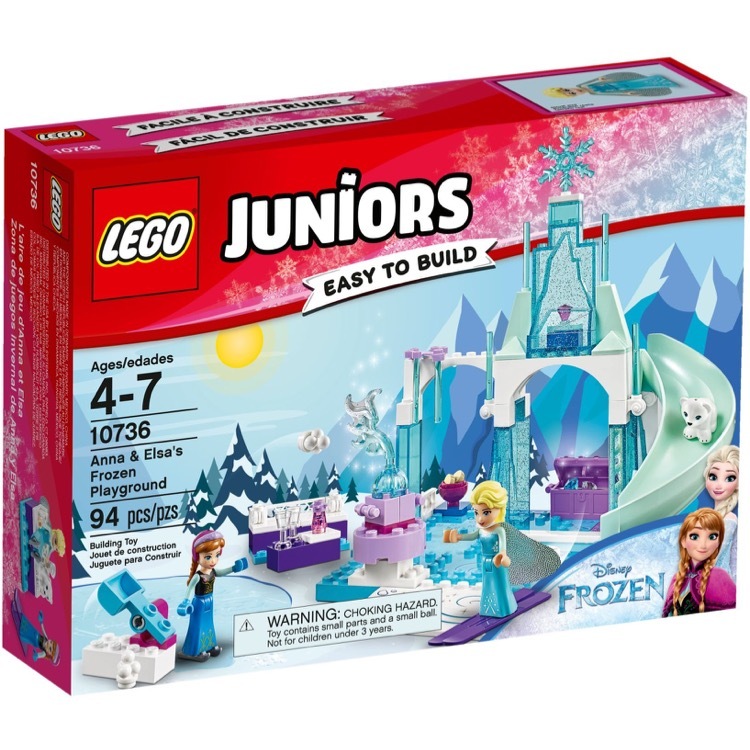 This is a BRAND NEW set of LEGO® Juniors 10736 Anna and Elsa's Frozen Playground from 2017. This set is still factory sealed and the box is in very good condition with minor shelf wear. 94 pieces and 2 minifigures©. 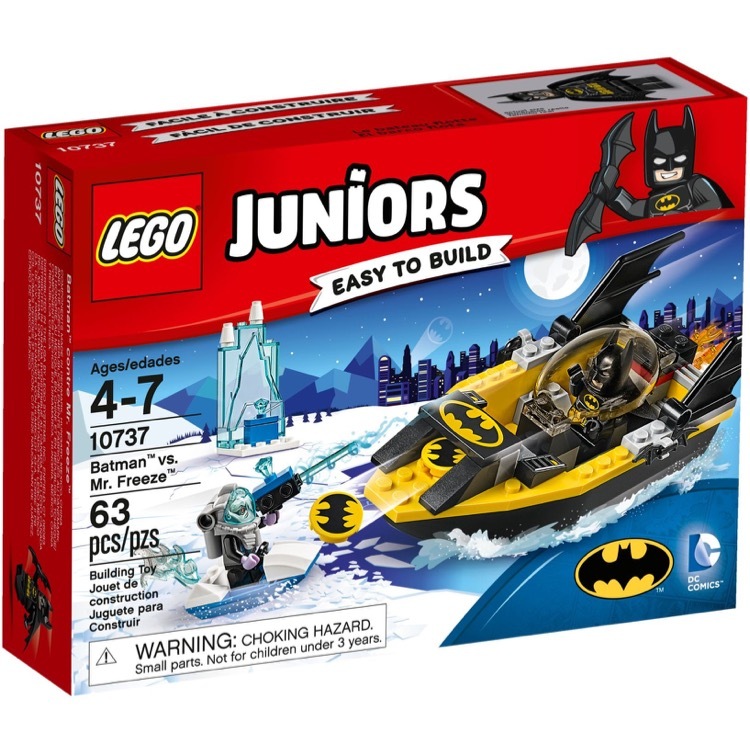 This is a BRAND NEW set of LEGO® Juniors 10737 Batman vs. Mr. Freeze from 2017. This set is still factory sealed and the box is in very good condition with minor shelf wear. 63 pieces and 2 minifigures©. 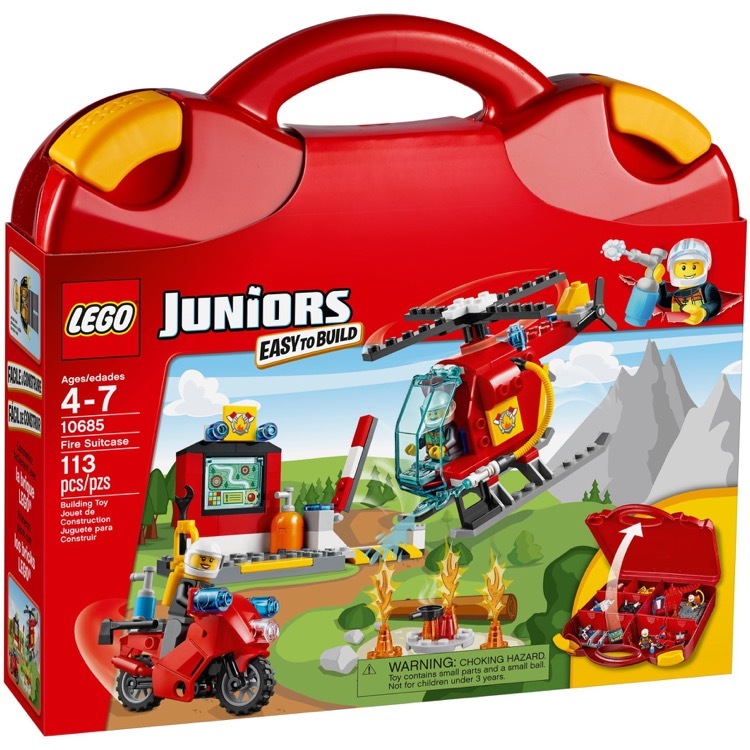 This is a BRAND NEW set of LEGO® Juniors 10740 Fire Patrol Suitcase from 2017. This set is still factory sealed and the box is in very good condition with minor shelf wear. 110 pieces and 2 minifigures©.